Tibetan medicine was completely new to me. But as the Tibetan doctor had his location just one floor below to our Tibetan hotel, we didn’t hesitate to ask for an appointment. Little boy had a health problem, which could have easily turned into a big one without medication. 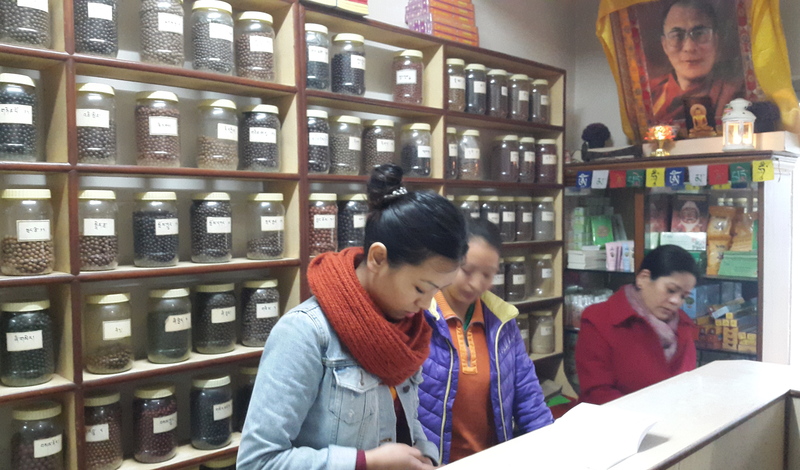 The Tibetan doctor helped very quickly and could even tell where this problem came from: too much sweets and unhealthy beverages. I was rather surprised because I tried already so hard to make little boy eat more fruits and vegetables. I was even more surprised when he did a short check on me by pulse diagnosis and when he told me without knowing anything about me what were my major health problems. But the most surprising was that little boy’s pain was gone after two days without antibiotics – just with these brown and black pills you see in the containers on the picture.